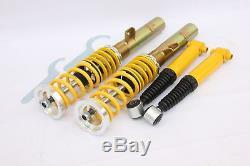 Adjustable Coilovers Kit Fits Peugeot 206 206CC 180 2.0 GTi Hatchback Lowering. 1998 Up 206 GTi 180 2.0 16v Hatchback incl. 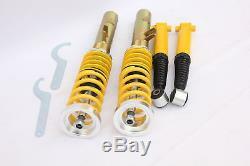 2 front full coilovers, 2 rear shocks and springs including height adjuster. 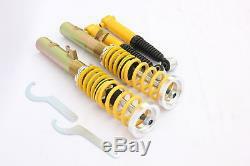 Springs Are Powder Coated To Prevent Corrosion. Ideal for any track, drift and fast road and can also be used for daily driving. The item you received will exactly same as the photos we add. Please double check the item size in our photo and description, if you bought the wrong size, we'll not responsible for the mistake, please kindly be noted, thanks. Minor modifications or adjustments maybe needed for some of our products. Get The Right Parts You After. 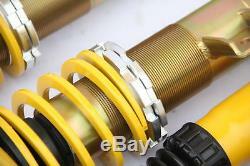 SUPEEDMOTOR are an established company which has a rich knowledge of automotive accessories. 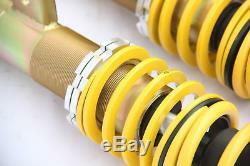 We stock most models of auto parts including Japanese, European, Korean and. Stock around 3500 different models of radiators, condensers, coolant pipes, fans. Intercooler /kits, coilovers, lift kits and some performance parts. We have over 4000 square meters. Ware house in Australian, New Zealand, HK, USA and UK, our sales teams have professional knowledge of automotive parts, so our service is second to none. We will go out of our way. To get you what you need on time, with the best quality and at best price. We do not list everything online, so if you have problem to identify your item or have any technical issues, please send us a message. We will be happy to help you find the right parts at the right price. We use a variety of couriers to get your items to you as fast as possible. Sellers are not responsible for service transit time. Transit times are provided by the carrier. We must be notified within as soon as possible of you receiving the damaged item. We are very careful sending out goods, but in the off chance of you receiving the wrong item please follow the following guideline. All items that are approved for return must be received back in the original packaging and not installed, modified or damaged in any way. We must be notified within 7 days of you receiving the item that you intend to return. The item/s are not opened, used, worn or damaged, and are in perfect condition when we receive them back. That you do not stick or write anything on the item itself or its packaging. We are not liable for any claim including claims arising from incorrect fitment, product modification, and fault design, the use of the product and any indirect special or consequential damage or injury or person, company or entity. Our goods come with guarantees that cannot be excluded under the Australian Consumer Law. You are also entitled to have the goods repaired or replaced if the goods fail to be of acceptable quality and the failure does not amount to a major failure. 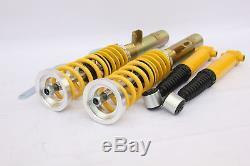 The item "Adjustable Coilovers Kit Fits Peugeot 206 206CC 180 2.0 GTi Hatchback Lowering" is in sale since Wednesday, March 16, 2016. 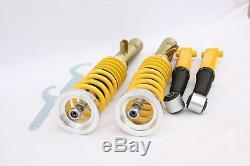 This item is in the category "Vehicle Parts & Accessories\Car Tuning & Styling\Performance Suspension\Other Performance Suspension". The seller is "superperformanceauto" and is located in Leicester.